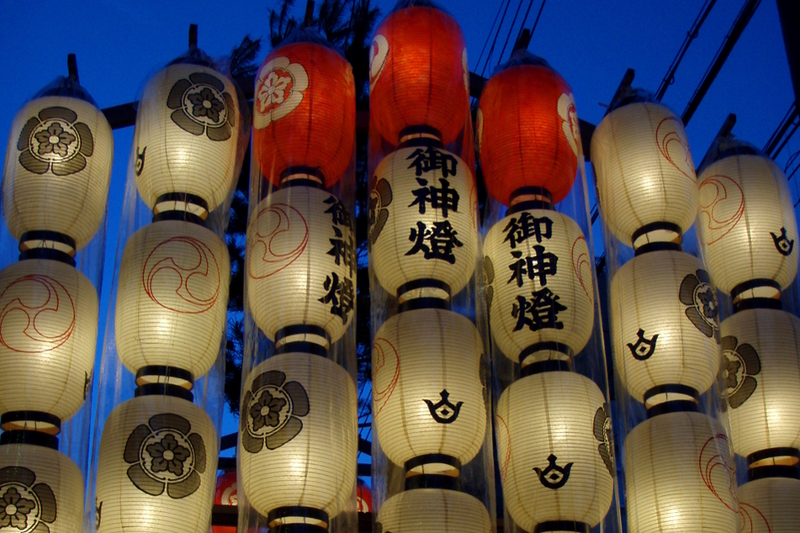 Kyoto's famous Gion Matsuri festival dominates the entire month of July. Traditional floats festooned with ornate tapestries and lanterns are displayed, purified and paraded through the streets. Merchants open their homes to display family treasures and traditional artworks for visitors. The highlight is the 17th July parade. Teams of attendants pull the decorated floats, weighing several tons, through the centre of the city. Join the crowds dressed for the occasion in colourful yukata and enjoy the street food and festival atmosphere.